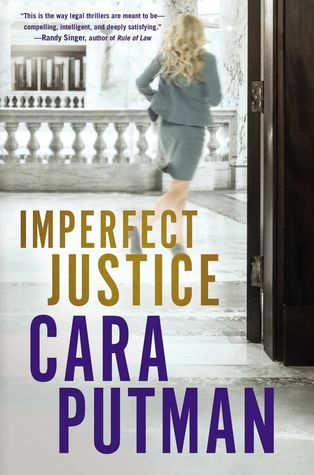 Imperfect Justice (2017) by Cara Putman is the second book in the Hidden Justice series. This novel was released this past Tuesday, December 5, 2017, by Thomas Nelson Publishers. This book comes in all forms including eBook, and is 352 pages in length. With a full-time job and a very busy five-year old at home, this novel took me three days to read. This book was provided to me by Litfuse Publicity for review. In no way has this influenced my opinion of the book. All opinions expressed in this review are my own. I give this novel 5 STARS. Imperfect Justice is a Contemporary Christian Legal Thriller with a lovely touch of Romance. 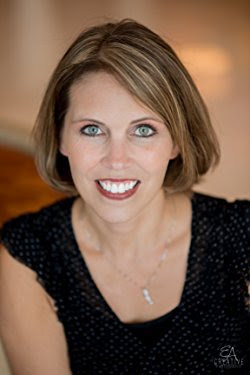 Find out more about Cara at: http://caraputman.com. This is the very first Cara Putman novel that I have read, but it most definitely will not be the last. Imperfect Justice is a phenomenally written story. I was hooked from page one and could not put it down. In fact, there were a few times I realized I was getting lightheaded because I was holding my breath! This story is SO intense. If you are looking for a fantastically written legal thriller to curl up to this December, then this book is absolutely for you! Emilie Wesley is the protagnist, and I cannot remember relating to a character quite this well. It was like looking into a mirror. Emilie is forced to endure some really heavy stuff in this book, and it causes her not to question the existence of God per se, but to question His presence and the path she believed He put her on. I think everyone in his/her life who believes in God has done this at one time or another. Emilie has a big heart. She is a highly emotional woman who takes others’ pain as her own. As a lawyer for abused and battered women, Emilie’s heart often takes a beating. Add to this that she is being stalked, and you have the makings of an emotional meltdown. As I was reading I often felt so badly for Emilie. I wanted to reach into the book and give her a hug. At one point near the middle of the story, Emilie is struggling hard. She tells the reader that she is “hemorrhaging inside from the pain of years of client experiences” and that “her capacity to feel and care” has been emptied. She truly feels alone, and to the reader, this loneliness is palpable. She doesn’t understand how to fix this problem. I don’t know about you, dear reader, but I have been there. It seems like every time my world blows up, when I just want someone to lean on and help me through it all, I am alone. My husband is at work and can’t be reached, my best friends are unavailable, and my mom is too busy. I think God does this on purpose. I think He does this so we will lean on Him in those “hemorrhaging” moments/seasons. This story has a unique love triangle. There is the handsome, intelligent, big-hearted Reid Billings, and then there is a stalker. Yes, a stalker. Poor Emilie! As I was reading the book, I kept wondering why there would be a need for a stalker (other than it really adds to the suspense), and then it hit me! Ms. Putman, you are a genius! This book focuses on domestic abuse. It is a really hard issue, and there were a few times I had to take a small break from the book and pray because a lot of issues I thought I had dealt with from my childhood came rearing their ugly heads. As a disclaimer, there are some really rough moments in this book, but Ms. Putman deals with them respectfully and honestly. Anyway, back to the triangle. The two men involved in the triangle represent two types of men: one, the strong, intelligent, opinionated, RESPECTFUL man, and the other a strong, intelligent, opinionated, MANIPULATIVE man. Two men, who on the outside, appear perfect, but on the inside are slightly different. It’s the slight variation that makes all the difference in the world. I’m not sure if Ms. Putman intended to foil Reid with a stalker in order to illustrate the minute characteristics that separate a true man who can love correctly versus a manipulative man who wants to control love, but I found this to be quite ingenious. This story is amazing. The writing is flawless. This is definitely a story that will remain with me long after I have read the last page. I cannot recommend this book enough. If you are looking for a story that will hold you in its grips until the very end, this is the book for you.